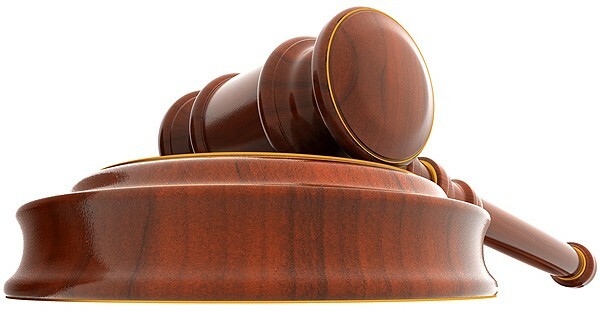 What is a Timed Online Auction? – A timed online auction is an internet only bidding system, where all items are catalogued and photographed, with detailed descriptions. Bidders register through our website, and bid online for items of interest to them. Our auctions typically last for four days (unless specified differently in the Auction Details). Our Auctions will start on Sunday afternoon and end on Wednesday evening. Bidders can regularly check on the status of their bids and increase their bids accordingly. At the conclusion of an item sale, winning bidders are automatically notified by email of their winning bid and at the conclusion of the entire auction, bidders will receive a detailed invoice. The successful bidder then follows the payment and pickup details listed in the Auction Details. We will catalogue and photograph all the items for sale. Once the catalogue is posted on our website, we establish a preview period at a designated time for the general public to physically preview the items. Maple City Auction Services staff is always present to oversee the preview and answer any questions. Bidding is open for online bidders only. The terms and conditions on this page apply to all online auctions conducted by Maple City Auction Services. Each Auction has its own additional terms. By bidding on any of our online auctions, you agree to these terms as well as those listed under “Notes” on the Auction Details page and/or in the item descriptions (Preview, Closing Times, Removal, Buyer’s Premium, Payment etc. are listed on the auction itself, while some individual items may have special terms for removal, bidder requirements, etc.). Staggered Closings: Lots will begin to close at 6:00pm Wednesday evening, with 20 second intervals between lots. Soft Close rules will be in effect during each auction. Soft Close: If a bid is placed in the last 3 minutes before a Lot closing, the lot closing time extends for 3 additional minutes and will continue to do so until all bidding has ceased. This gives all interested bidders a fair and equal opportunity to purchase the auction item. Remember to click your Refresh button often to see the latest bids. YOU MUST REGISTER to bid. You must provide a valid credit card. Your card will not be charged, registration is free. You must be at least 18 years old to bid. A Buyer’s Premium (see Auction’s Details for percentage) will be added to your bid total, plus applicable taxes (HST). All Items Selling “As Is, Where Is”, the items have been displayed online and all Buyers will be given an opportunity to view auction items during a Viewing Day as listed in the Auction Details, therefore the Buyer shall be held to have satisfied themselves as to the condition, identity and authenticity, and shall not be permitted to make any objections after the sale on any grounds whatsoever. Neither the Auctioneer nor the Consignor is responsible for any error on conditions of items. … All Sales are Final – No Refunds! You are bidding ONLY on the item(s) as described in the online description and NOT additional items that may appear in the photo(s). Read the item description carefully, it is your sole responsibility to know what you are bidding on. Each lot selling to the highest bidder, no reserves (unless stated otherwise). Once the item is sold, the buyer assumes full risk and responsibility for the item. The time for Making Your Payment will be listed in the Auction Details, you will receive an e-mailed invoice and payment must be made in full within the times and means listed. If NOT paid in-full by the deadline listed in the Auction’s Details, we will manually charge your credit card for the selling price, plus taxes and the applicable buyer’s premium. If you are unable to remove item(s) you purchased during the removal time(s), please consider other options before bidding. We do not hold items unless arrangements are made with us previous to the sale and we will not issue a refund! Remember: You, the Buyer, are responsible for all costs associated with pickup and removal of your purchase(s). You will be held responsible if any damage is caused by you or your affiliates to the pickup site or other items. Please remember to bring your own help and packing materials for removing your items. Shipping Is available. Please see shipping details in the Auction Listing. No item will be released without a PAID-in-FULL invoice listing the item(s) purchased. Auctioneer’s decision on all disputes and related matters is final. All Bidders agree to indemnify and hold harmless Maple City Auction Services and the Consignor, their agents and representatives, from and against all liability, claims, suits or causes of action from participation in, purchase and/or removal of items in an Auction. Information is provided to the best of our ability and deemed accurate at the time of publication. Not responsible for errors. Be sure to refresh the page before placing bids to ensure you have the latest information. Announcements by auctioneer at live events supersede information and terms published here.